There are plenty of great podcasts in plenty of interesting categories: history 10 Educational History Podcasts To Subscribe & Listen To 10 Educational History Podcasts To Subscribe & Listen To A lot of us left history back in the classrooms. For some it made for ponderous reading. Thanks to the many history podcasts available for free on the web, listening to it is both entertaining... Read More , tech 5 Essential Technology Podcasts That Geeks Should Listen To 5 Essential Technology Podcasts That Geeks Should Listen To If you're reading this, I'm betting there's a good chance you quite like computers, the Internet, or technology in general. A few weeks ago, Dave showed you 10 websites that all geeks should bookmark. This... Read More , comedy 5 Comedy Podcasts That Will Keep You Laughing In Public 5 Comedy Podcasts That Will Keep You Laughing In Public There’s few things more unusual than watching someone listen to a comedy podcast in public. First you wonder what they are laughing at. Are they just insane? Is there someone you don’t see that just... Read More , gaming Attention, Gamers! Here Are the 10 Best Gaming Podcasts Attention, Gamers! Here Are the 10 Best Gaming Podcasts Video games were one of the first mediums to go all in on podcasts, and there are now a wealth of gaming podcasts from which to choose. Here are 10 of the best. Read More , etc. Unfortunately, many of these podcasts simply aren’t suitable for listening to when your kids are around. One podcast app makes it easier to find podcasts that your children can listen to. And it’s not like these podcasts are boring — they’ll pique your interest as an adult too. Leela Kids, available as an iOS and Android app, targets kids from ages three to 18. You can browse podcasts by age group and category. The current categories include bedtime stories, stories, music, animals, dinosaurs, space, TED, and even Harry Potter. When you open up any given category, you can either view all episodes, or the podcasts listed under that category. Be sure to select the age range first and then the category when looking for podcasts. While the app does a great job of letting you know all about the best podcasts out there suitable for little ears, it lacks some basic podcast features that would make it even better. There doesn’t appear to be a way subscribe to podcasts as you can in other apps (despite instructions to contrary) but the app will at least pick up where you left off when coming back to any given episode. More crucial however, is that there is no way to download episodes for offline listening. So if you’re planning on keeping your little ones occupied during a roadtrip, you might want to look up the podcasts in Leela Kids, but unfortunately, for the time being, will have to opt for a different iOS The Best Podcast App for iPhone and iPad: 7 Top Choices Compared The Best Podcast App for iPhone and iPad: 7 Top Choices Compared Looking for the best podcast app for iPhone and iPad? Enjoy your favorite podcasts with these great feature-filled podcast apps. Read More or Android The 8 Best Podcast Players for Android The 8 Best Podcast Players for Android Want to listen to podcasts on your Android phone or tablet? Let us show you which apps to use. Read More podcast app to play them on the go. This feature is in the works, but no word as to when it will hit the app store. When looking for an interesting episode, be sure to check out the engaged listen count. This number indicates how many people actually listened to most of the podcast, so you’ll know it should be a good one. 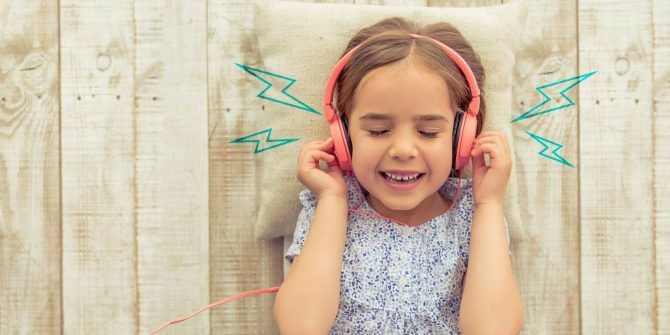 How do you find kid-friendly podcasts to listen to with your family? Let us know in the comments.